The Republic has definite future hot prospect in the longer sprint hurdles of the 400 metres, as both Raymond and Ow Yeong clocked personal bests in the finals. Shot put thrower Zhang Guirong contributed to Singapore’s gold medal tally by clinching her 6th SEA Games title in the women shot put event. Decathlete Lance Tan after finishing the grueling 10 track & field events over 2-days, he has something special in mind at the end of his SEA Games 2015 outing. He proposed to his long-time girlfriend Sharon who was there to support him. And she said YES! Fwah steady bom pit pit congratulations Lance & Sharon. 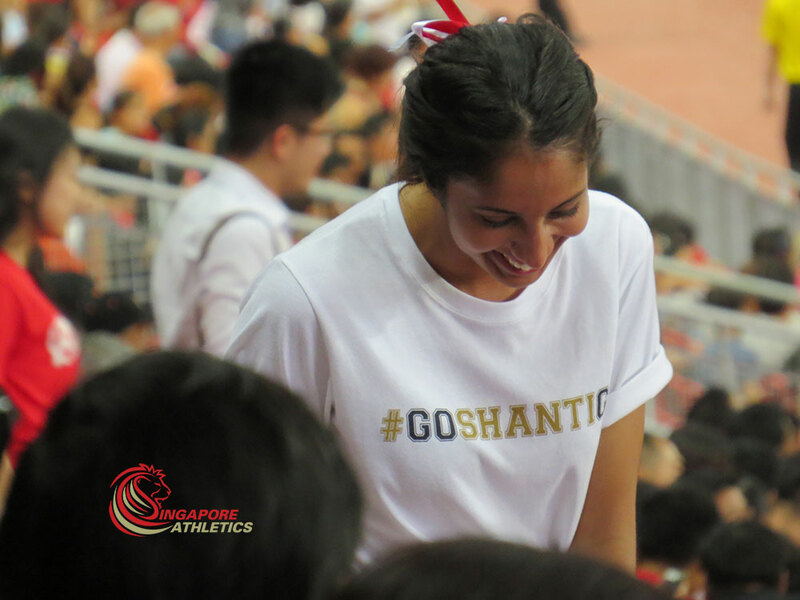 Dipna’s 400 metres hurdles timing has improved again earlier, from 59.86s in March in Australia, before lowering it to 59.59s at Taiwan Open in May to a sublime 59.24s in front of the home crowd as they witnessed a new women National Record. Eugenia Tan once again for the third time this year broke the women long jump national record, becoming the first Singapore women to jump beyond six metres. Melvin Wong smashed his PB in the 10,000m men event, improving it by some 40 seconds! If you wish to see more SEA Games videos, it’s being uploaded here at https://www.youtube.com/playlist…. while the Facebook Day 3 gallery can be found here.